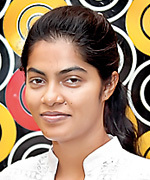 Chamil Cooray won his 12th Men’s National Carrom Championship while in the Women’s segment Joseph Roshita won her 5th Women’s national title at the 48th National Carrom championship organised and conducted by the Carrom Federation of Sri Lanka at their Kohuwela Headquarters which concluded last Sunday. 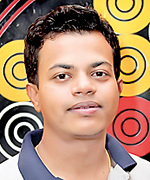 In the Men’s Singles final Chamil Cooray beat World Carrom champion Nishantha Fernando 3-0 to win his 12th national crown and in the Women’s singles finals Joseph Roshita too scored an easy win over Chalani Lakmali 2-0. Chamil Cooray exhibited his worthiness being the singles champion by winning the Triple Crown when he won the Men’s Doubles partnering Brindley Wickremasinghe defeating Mohamed Saheed/Manuka Ashen combination 2-0 and playing with Arosha Wickremasinghe beat Nishantha Fernando/Madushika Kanchanamala 2-0 in the Mixed Doubles. 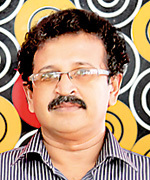 Lalith Hewage won the Veteran’s Carrom title by defeating Kaviranga Perera and it became a special occasion where seven players were able to conclude their respective matches with ‘White Slam” (concluding a match without giving an opportunity to the opponent) at this 48th National Championship. This year’s championship was conducted under six events namely, Men’s and Women’s Singles, Doubles, Mixed Doubles and Veteran’s for nine days during weekends from January 16 to February 14 at the Federation’s headquarters where over 350 players representing various parts of the island taking part. The much needed headquarters for carrom was declared open by the Minister of Sports on Thursday and arrangements are made to prepare the premises to international standards with air-conditioned halls.